Learn more about the Empire 8's new "Tomorrow's Leaders Compete Here Today" Campaign. The Empire 8 Conference, which is celebrating its 20th anniversary, is set to launch a new marketing and branding campaign focused around the tag line "Tomorrow's Leaders Compete Here Today" on Tuesday. "We have truly distinguished ourselves nationally as a conference committed to the educational role that athletics plays in higher education. It's not just a tagline or mission statement, it is a pillar of what we do on a daily basis," said Empire 8 Conference Commissioner Chuck Mitrano. "We educate our student-athletes and foster their development of values and personal traits that will make them a success upon graduation." The campaign includes a new brand signature logo, a promotional video, and each member institution will receive marketing materials to adequately promote the conference on their respective campus. Hager Productions produced the high quality promotional video that highlights the E8 member institutions, the academic focus, championship experiences and most importantly, the Empire 8 student-athletes. The campaign was developed by the Empire 8 marketing committee, in consultation with the conference commissioner, students, coaches and administrators. In addition to the new tag line logo, Empire 8 members are encouraged to promote the rich history of the conference through the use of the 20th anniversary mark. 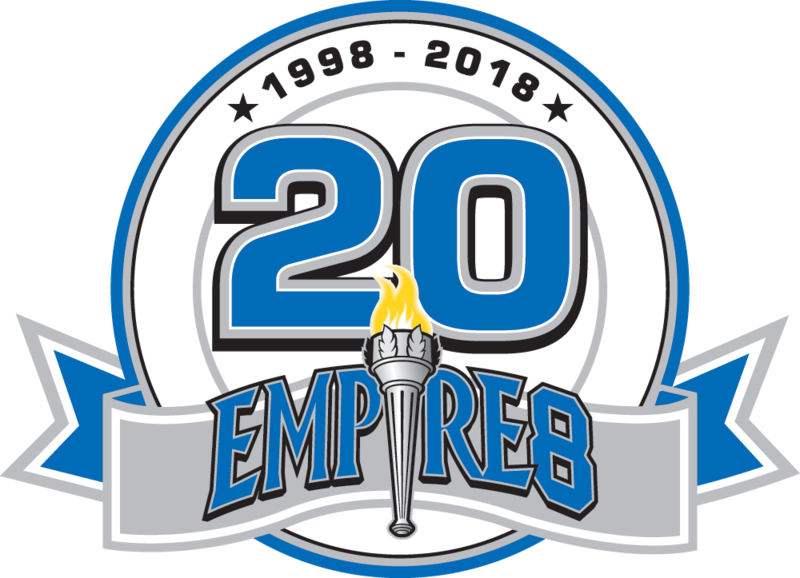 The 20th anniversary logo will be used for the 2018-2019 academic year on championship t-shirts and championship banners to commemorate the milestone year for the Empire 8. "Empire 8 is an educational vehicle and the fields of play are our classrooms," said Mitrano. "How do you constructively respond to an adverse situation? Do you take personal responsibility for your actions? Are you contributing to the greater good or acting in a selfish way that hurts the team?" "Our consistent education, policy and accountability equate to a culture of learning," said Mitrano "The Empire 8 is not just a conference, it's an invaluable educational tool to mold tomorrow's leaders."